Anyone with an interest (male or female) in four wheel recreation is eligible for membership. No vehicle modifications are required for membership. 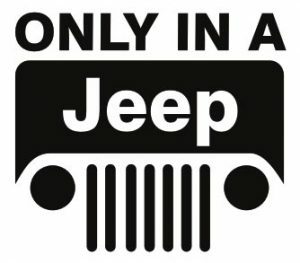 We have members with stock or near stock Jeeps. We also have members who don’t own a Jeep at all. You must have a valid drivers lifour-wheelproof of insurance to attend all club sponsored trail rides. What if I’ve never been off-highway? Will my Jeep get damaged when going off-road? No problem. The club welcomes all new members. We have members with all different levels of experience. Some are just learning the basics of four-wheeling, while others have been doing it for years. Special care is taken on every trail ride to advise newcomers and teach some basic four-wheeling. When driving off-road there will be a risk of vehicle body and mechanical damage. Driving in the woods will most likely cause “trail pinstripes” if the trail is tight. Any concerns, please reach out to us. Do I need a heavily modified Jeep? No, a stock Jeep is a very capable vehicle. All trail rides offer a variety of terrain for Jeeps of all sizes and driver abilities. We encourage all new Jeep owners to learn the basics of their vehicle before doing major modifications. A stock Jeep may be all you need! See the trail policy for details on required equipment and etiquette. How do I join the New Jersey Jeep Association? Are meetings or events mandatory? Membership information is available by clicking here. You can join at a meeting, online form or by mail. The fastest way is at a meeting or online form. Participation is all up to you. Our meetings are not mandatory but suggested to keep up with the club and meet other members. Meetings are open to the public. As for events, we strongly encourage participation to get the most out of your membership. Being a Member in Good Standing (2 meetings/2 events after your first year) has its perks, you get to vote, run for office, become a trail guide. How often does the club get together? Where are the meetings held? We have monthly meetings, either a Wednesday evening or a Saturday. 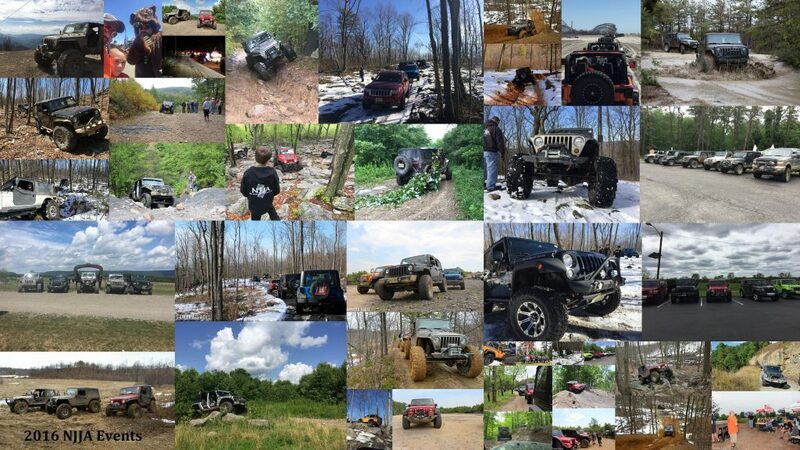 We have a monthly event, either to Rausch Creek, or nearby legal off-road areas. We also have non-ride events that are family friendly. Some activities could be a tour of Coal Mines in PA, scavenger hunt, holiday party, trivia pot-luck party and camping. A lot of our members do their own rides, or plan a trip, which is posted on our member-only forum. We encourage our members post events/rides on their own as well. Our meetings are generally held in Central NJ, South, and up in Stewardsville, NJ. We try to have our meetings in different parts of the state. Email us at njja@njjeep.org or use the form below to email us. Check out our event pictures!